Tagged under Hiroshi Hiroyama, Kazuya Hirata, Silver Link, TYPE-MOON, Fate, Series. The good things about this spinoff is that Illya has a much better life in this alternate universe series where she is in happy home life with family and has a great friend in Miyu. 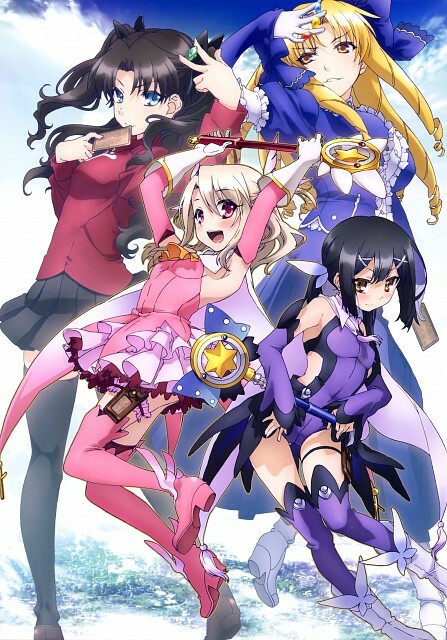 The movie offered me a new perspective of the series when it told Miyu's backstory of how she met her Shirou and how he wanted to give her happiness in which he fought tooth and nail for leading up to his wish that culminated into Miyu's fateful meeting with Illya and how she was able to lead a normal life in Illya's world, making new friends and going to school, up until the events of 3rei. I dislike the loli fanservice of the series, how annoying Luvia is when she belittles Rin, the annoying Kaleido Ruby and its' antics, the stupid filler episodes of 2wei Herz!, and the annoying antagonists of the Ainsworth family. No feedback on Fate/kaleid liner PRISMA ILLYA.